Hello and welcome to The Cooking Wardrobe. 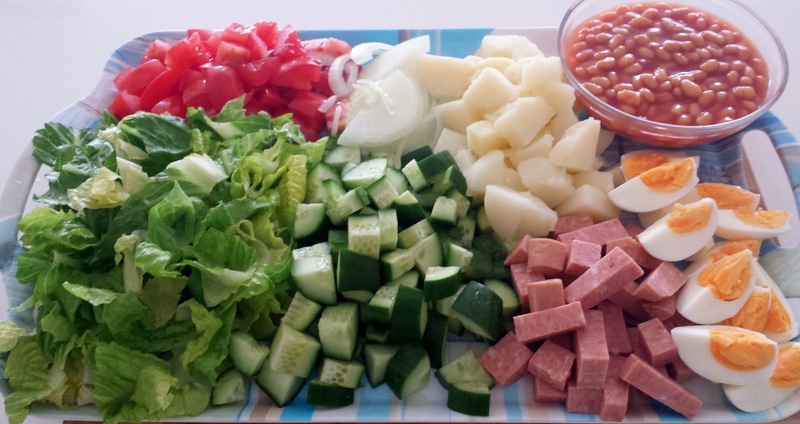 Today's midweek recipe is a quick salad. This is actually the way my grandmother made it back in Sierra Leone, many many years ago and its one of my go to recipes especially when I get unexpected visitors. 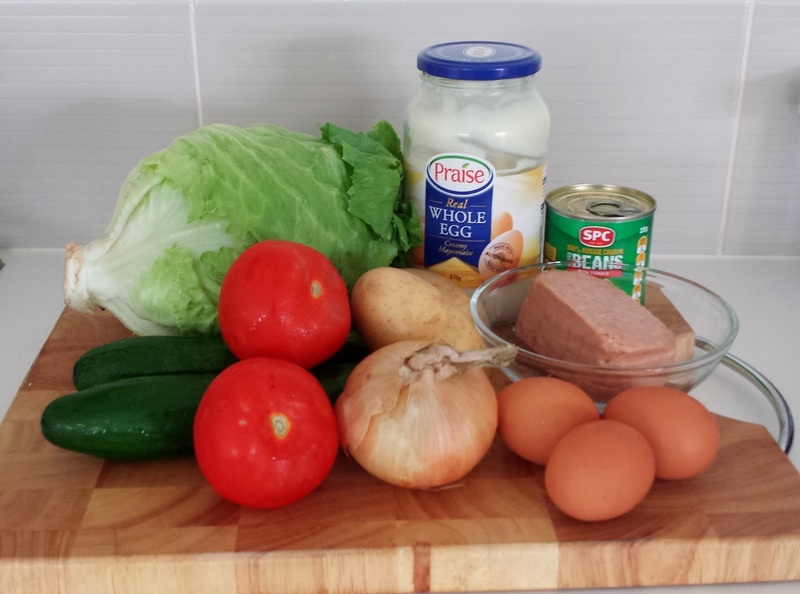 It is quick, colorful and most of the ingredients are always in my pantry and fridge. Assemble and enjoy! That took about 20 hard minutes, how exhausting! Phew!!!! Looks good but I would remove the meat. It reminds me of a potato salad and a Cobb salad combined, both of which I love. This looks quite tasty and hearty. 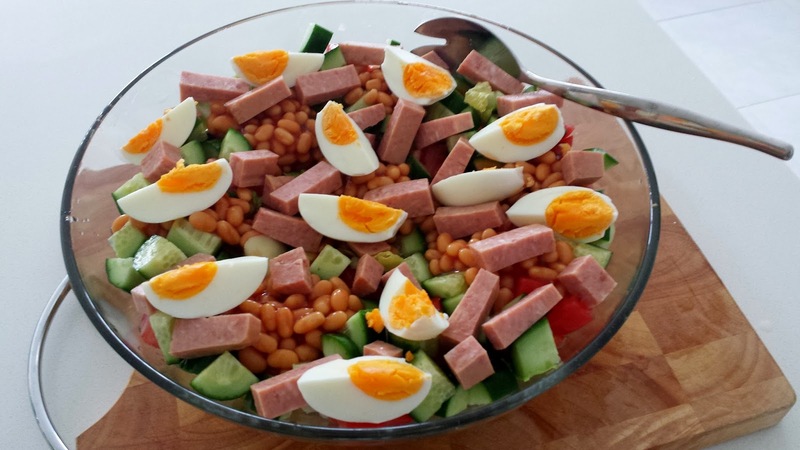 I love beans and I think you could switch to different types of meat or beans with this salad too, depending on what you have on hand. Thanks for sharing it! This looks and sounds amazing. I love salads they are one of my favourite foods.